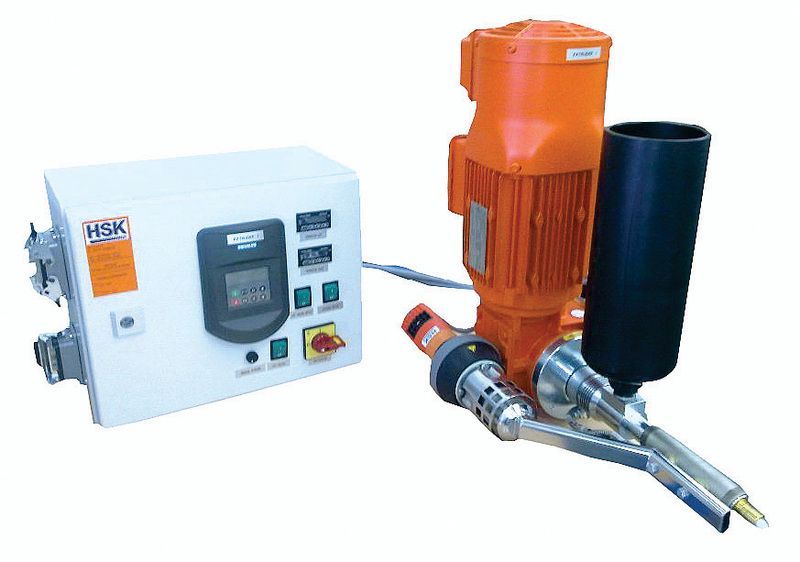 Industrial mounted extruder for plastic pellets or welding rod. Output approx. 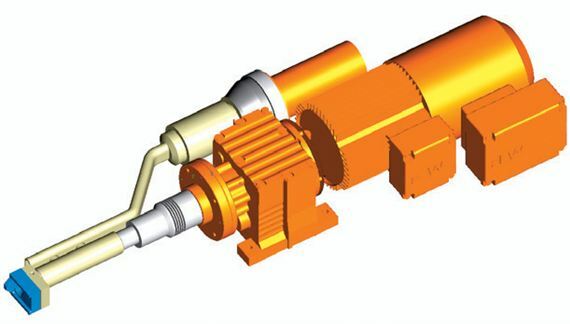 : 0.25 – 1.2kg/h (0.55 – 2.65 lbs/hr) with delivered drive motor. Otherwise, for 2 kg output a drive motor must have at least 700W. Calculate at least 300W power per kg output. Available with or without electrical control box. Optional touch screen control panel available.